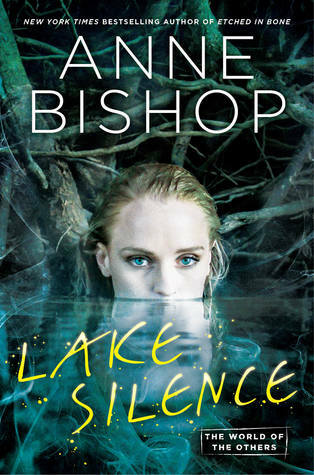 The story of Meg Corbyn and Simon Wolfgard in Lakeside Courtyard may have come to an end, but The Others series will live on next spring, following new characters set in the same world, in a place called Lake Silence. “In this thrilling and suspenseful fantasy, set in the world of the New York Times bestselling Others series, Vicki DeVine and her lodger, the shapeshifter Aggie Crowe, stumble onto a dead body . . . and find themselves enmeshed in danger and dark secrets. OOooh awesome!! Now I REALLY need to finish reading The Others series!! I’m not sold on this cover although this is a must read book for me – love The Others series. It might grow on me the more I see it so I’m trying to keep an open mind. I just miss Meg. Yep, I’ve heard that this is a fresh start to a new series. It’s still set in the same world, but the previous story arc with the original characters is pretty much done! I need this book like air. So, I wonder if this can be read without having read the others – if so that could maybe be a great starting point for me! Oh interesting, is this a new series by Bishop? I feel like I’ve seen that other series of hers around – a blogger friend is a huge fan of the series. I hope you enjoy this book when you get the chance to read it! It’s based in the same world as Bishop’s series The Others, but I do believe it’s a fresh start with new characters!